Tom Hearn is a New Brunswick expat living in the centre of the world, a.k.a. Toronto, Ontario! Tom began his performance career while he was a student at Mount Allison University. During his time at MTA he worked closely with the Live Bait Theatre as a performer, writer, producer and board member. Over the course of his four years there, Tom was in 20 productions; some highlights include: RENT, Spring Awakening, CSI, The Naughty List, An Enemy of the People, Evil Dead and many more! 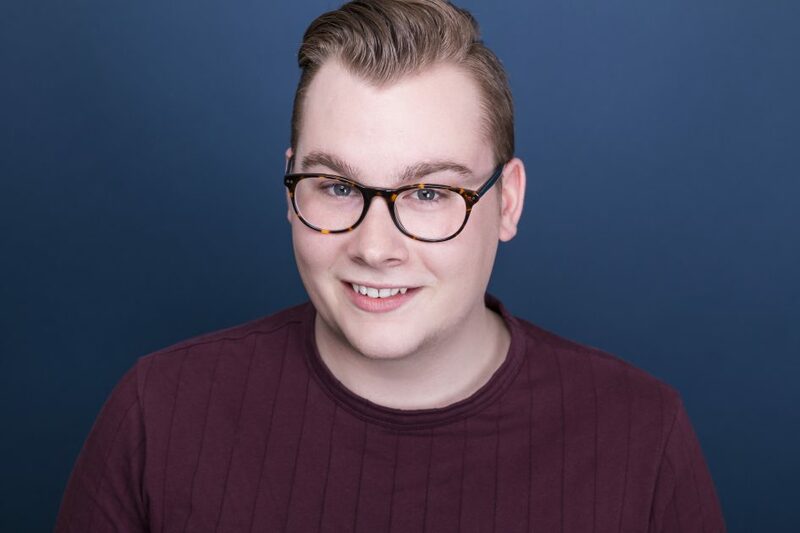 After a sold out run of Heard it Through the Grapevine at Feast Dinner Theatre in P.E.I., Tom moved to Toronto to pursue a career in improv and sketch comedy. He works very closely with the Bad Dog Theatre Company as a producer and performer. He is a founding member of Kinsey Fail, Toronto’s LGBTQ improv show and a member of the Season 4 Featured Players at The Bad Dog Theatre. Tom is a graduate of the Second City Conservatory directed by Kirsten Rasmussen. He recently was cast in The Sketchersons and will be joining the cast for his first Sunday Night Live on July 9th. Tom is half of the sketch comedy dream team Tom & Erica; as a troupe they have been to the NC Comedy Arts Festival, Toronto and Montreal Sketchfest and the upcoming Fundy Fringe Festival. As a producer you can see Tom’s productions all over the city, highlights include: The Pageant, Hookup, Kinsey Fail and the Combustion Festival (Bad Dog Theatre Company), F%CK IT BUCKET, Sketchy Show, the sold out 420Comedy Fest. In 2015 Tom Wrote, Directed and starred in the Web Series MAMA! When Tom is not trying to make people laugh, he is on the patio with his fiancée and their dog Regis. See her on The Jekyll & High Show, April 21st, 8 PM at @RivoliToronto! Paloma can be seen regularly at the Second City Toronto in their all-female sketch comedy revue, She The People. Oh yeah, and SHE LOVES WEED. Time to PRAISE & BLAZE! celebrate your favourite April holiday with a comedy fest.